This is a kindergarten quiz online on subtraction of numbers. 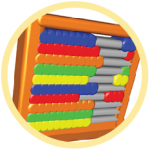 It features pictures of objects to be subtracted. 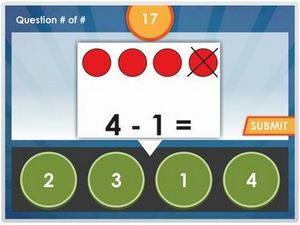 By using pictures, this quiz enhances the ability for kids to grasp the notion of subtraction seamlessly. Click and start reviewing your subtraction facts. Students can choose the correct answer among the set of choice. Review the concept of taking away.